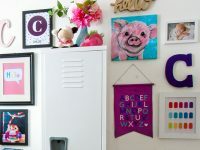 Learn how to create custom DIY labels for your organizing projects using adhesive vinyl and the Cricut Maker cutting machine. You can create these labels in any size, color, and font you’d like which means the labeling possibilities are virtually endless! I’ll teach you exactly how to make these pretty labels in my video tutorial. This is a sponsored conversation written by me on behalf of Cricut. The opinions and text are all mine. This post also contains affiliate links. See my disclosure policy for more information. The January organizing and decluttering bug bit me hard this year. How about you? 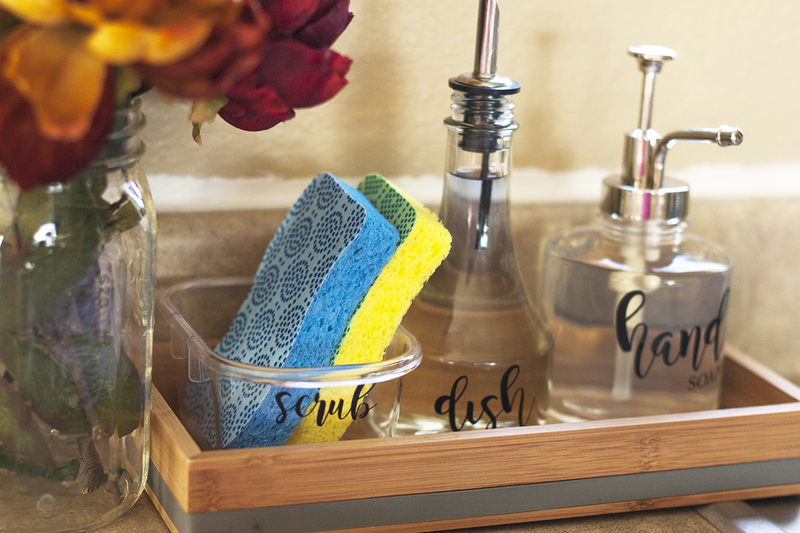 I’ve organized several spaces in our home recently and it’s no secret that I love to use pretty DIY labels as the finishing touch to my organizing projects. 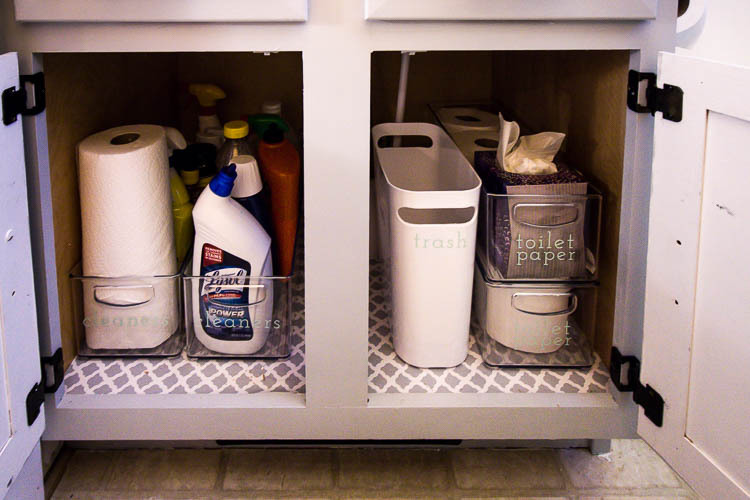 Although fancy labels and pretty storage bins are absolutely not required for getting organized, they are a lot like sprinkles on a cake – totally not necessary but no one will argue with how fun and pretty they are. Pretty labels make me weak in the knees. 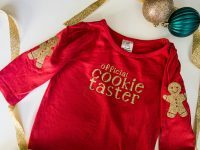 Today I’m sharing exactly how I create custom DIY labels for my projects using adhesive vinyl and my Cricut Maker cutting machine. And guess what? You can create these labels in any size, color and font you’d like which means the labeling possibilities are virtually endless! I’ve created my own DIY vinyl labels for a variety of projects in our home and just keep coming up with more reasons to make more! 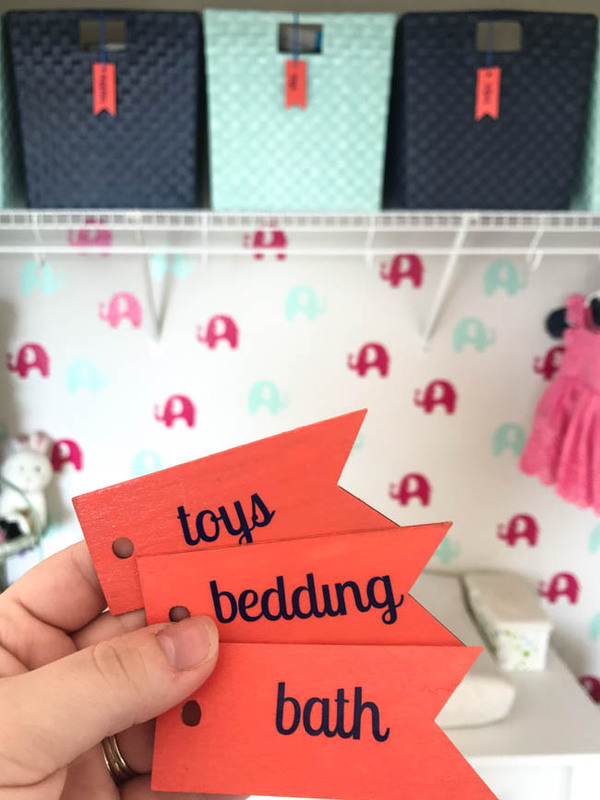 And today I’m showing you a sneak peek at how I recently made labels for storage totes filled with outgrown baby clothes. 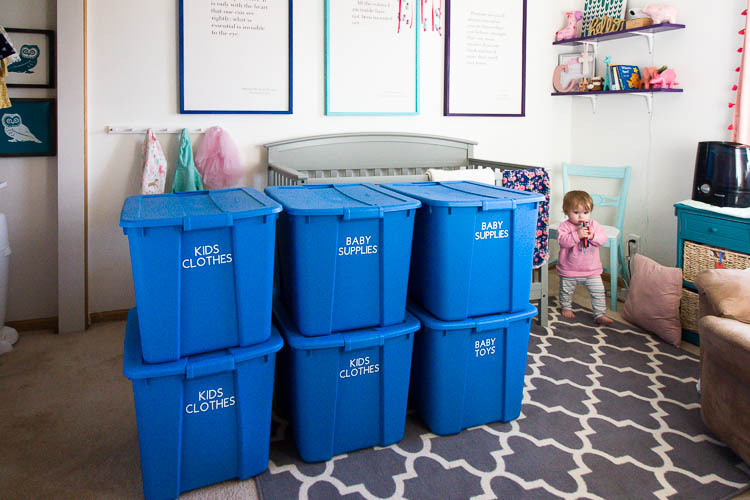 I’ll be sharing more details about organizing kids clothing in another blog post later this week, so watch for that! Watch this detailed video tutorial to see every single step of making these DIY labels. 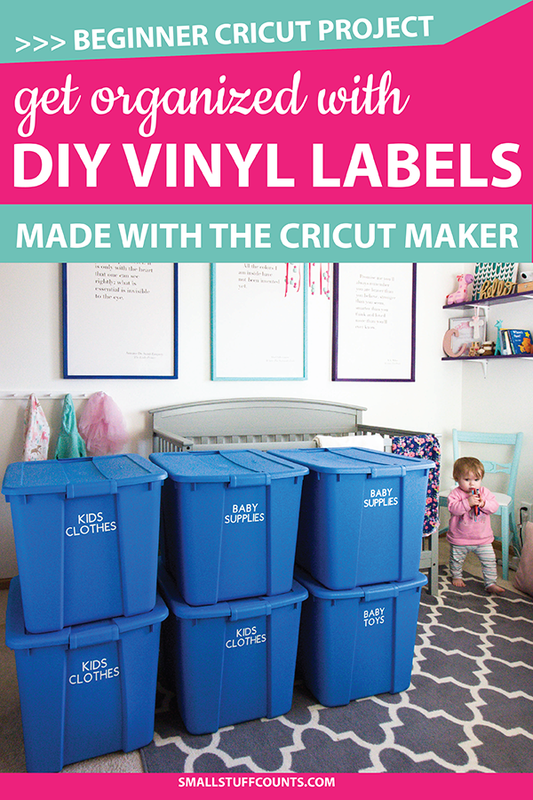 This video will show you how I created vinyl labels for large storage totes, but you can use the same method to label just about anything! There’s even iron-on vinyl if you want to label fabric items. 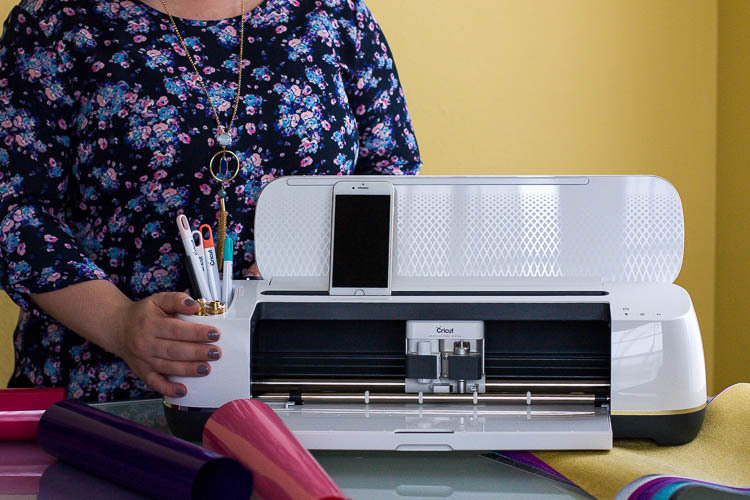 If you share my love for all things labeling and organizing, you’ll absolutely love creating custom labels with the Cricut Maker cutting machine. You can essentially create labels of any size and color, and it’s really easy to customize the design by choosing your favorite font. And the Cricut Maker can do so much more than labels! 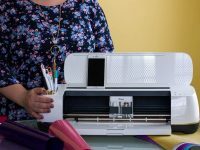 It’s the most powerful, most versatile cutting machine from Cricut and it cuts, writes, and scores hundreds of materials–from delicate fabrics and papers to thick leather and balsa wood–in any pattern or image you want. It’s a crafter’s dream tool! 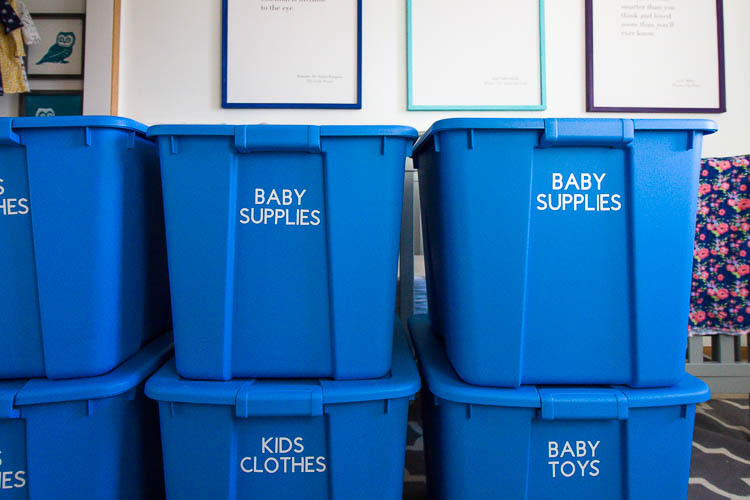 It feels so good to have a stack of pretty labeled storage totes filled with baby things stacked in our basement. They are out of the way and it will be a breeze to locate everything when we go looking for it down the road. 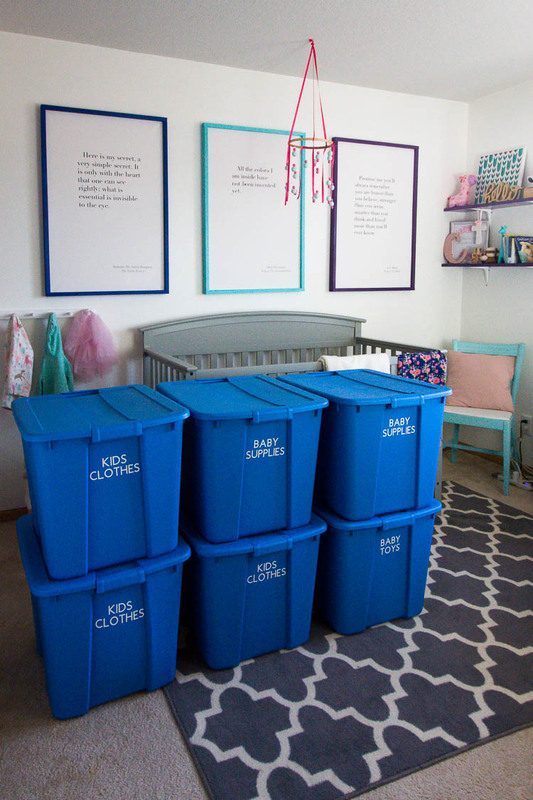 More to come on organizing baby clothing in another video tutorial later this week! 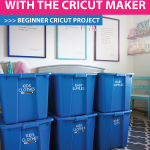 Want to learn more about the Cricut Maker? Check out this post where I introduced the new cutting machine and talked about the 100+ materials it can cut. 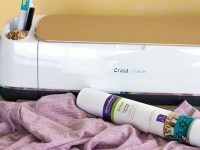 Do you have a Cricut? Or are you thinking about getting one? I’d love to hear what you make with yours in the comments below.